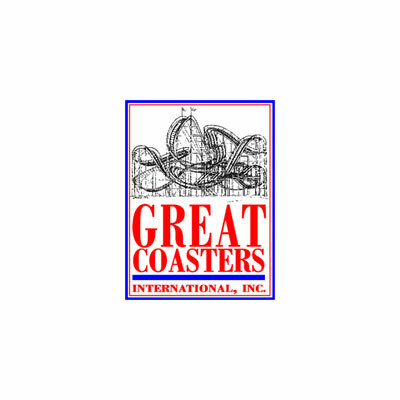 Great Coasters International, Inc. (GCI) was founded by Michael Broodley and Clair Hain. 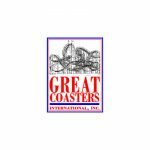 Broodley was a coaster designer for now defunct manufacturer Custom Coasters International. 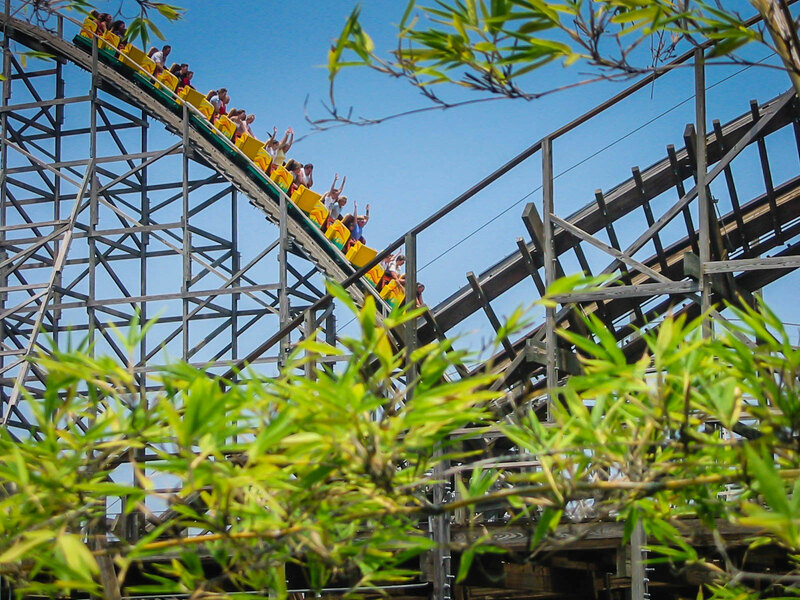 Although the company was started in 1994, it took two years before their first coaster was unveiled to the world. 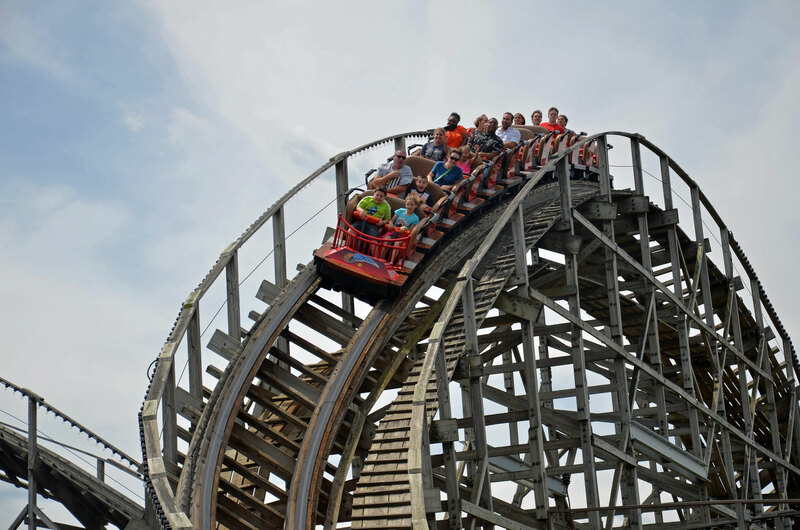 GCI exclusively build wooden roller coasters, which often have a tightly twisted, fast and furious track layout. 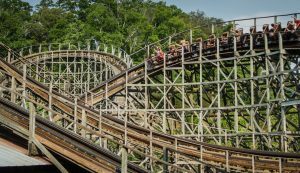 Most GCI coasters have a curved first drop to reduce rider nausea. 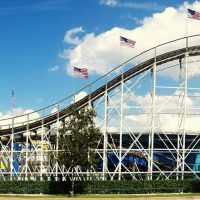 Aside from “regular” (and we use that word lightly) twister coasters, GCI also design racing (dueling) coasters and offer a shuttle coaster concept called “Back Track”. 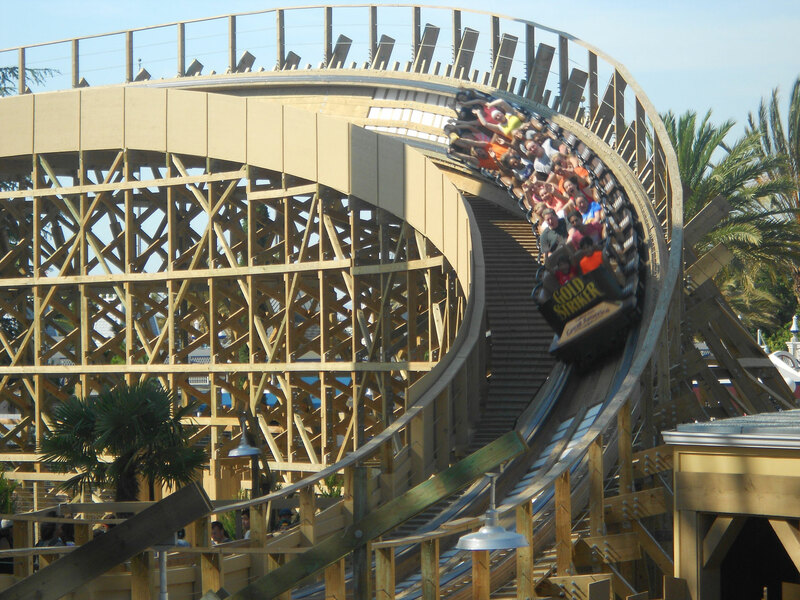 Some post-2005 GCI coasters have station fly-throughs where the train zooms through the station on an elevated section of track. 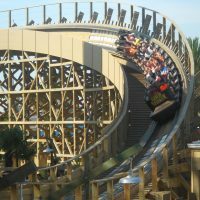 Gold Striker at California's Great Am. 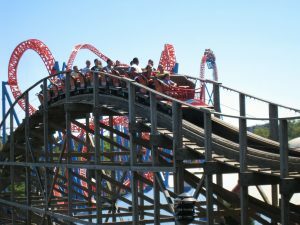 Wildcat at Hersheypark in Pennsylvania, USA. 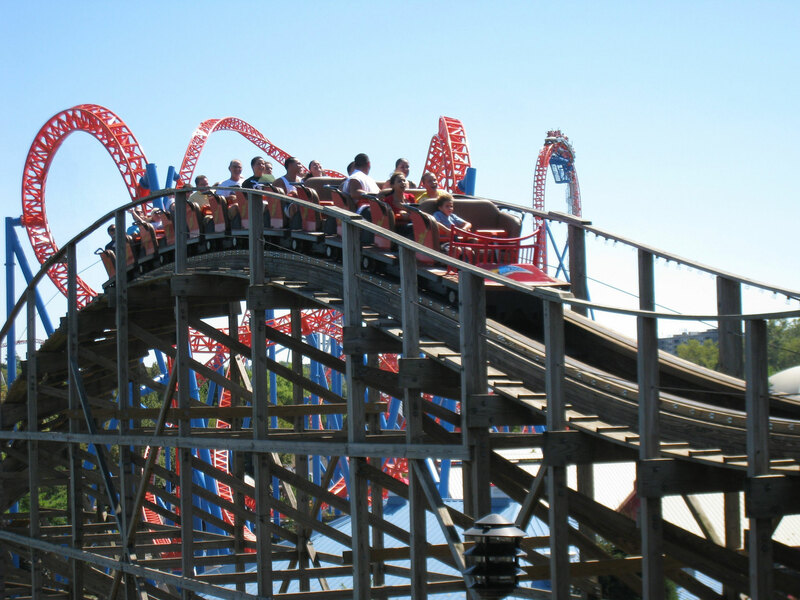 Wildcat at Hersheypark in Pennsylvania, USA, has the honour of being the first coaster designed by Great Coasters International. 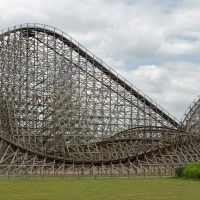 The coaster appears taller than it actually is because it’s built on a large hill. 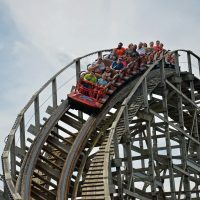 Wildcat originally had trains built by Philadelphia Toboggan Coasters, which were replaced with GCI built Millennium Flyer trains for the 2007 season. 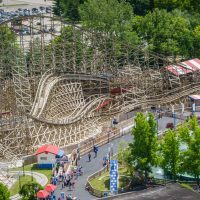 With the success of Wildcat, Hersheypark went back to GCI for their wooden racing/ dueling coaster Lightning Racer. 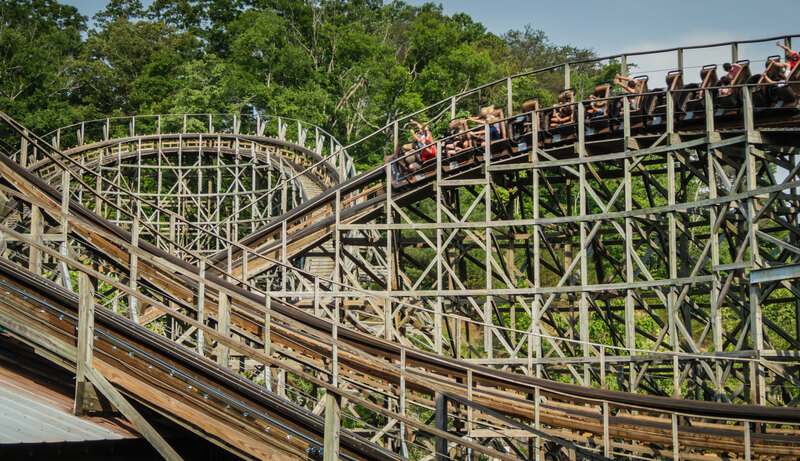 Widely considered to be one of the most fun dueling coasters in existence, both sides – Lightning and Thunder – travel through the same elements, although at different times. In addition to racing beside each other, there are two turn-arounds where the trains cross paths facing each other (known as a fly-by). 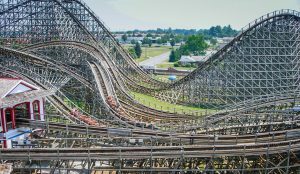 Thunderhead is a Twister Coaster that features a record-setting 32 crossovers and was the first to feature a station flyby. 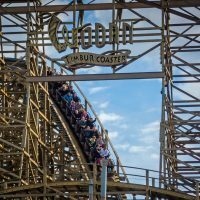 Thunderhead won the Golden Ticket Award for the “Best Wooden Roller Coaster” two years in a row after opening and ranked in the top five for 10 straight years. Troy at Toverland in the Netherlands. 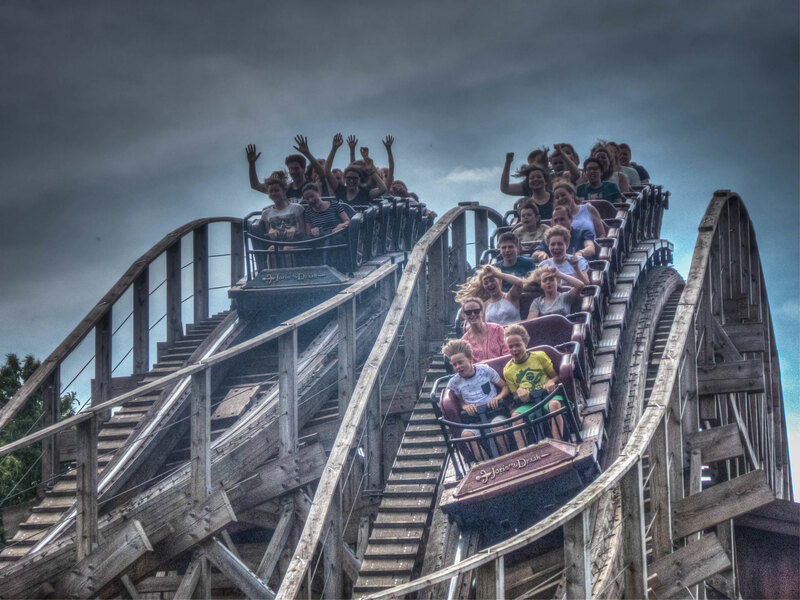 Ever since Toverland opened, the owners wanted to build an iconic wooden coaster. 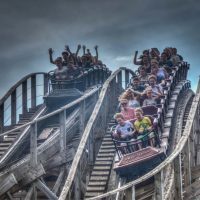 As Toverland is predominantly a family-friendly theme park, the biggest problem was finding something suitable for youngster yet thrilling enough for high-octane, thrill-seeking guests. 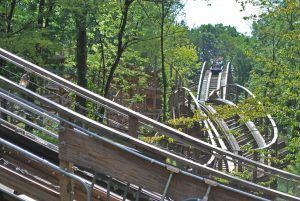 After observing the positive reaction of guests – young and experienced – after riding Thunderhead at Dollywood in Tennessee, USA, Toverland commissioned Great Coasters International to design a coaster… and this gem is the result! 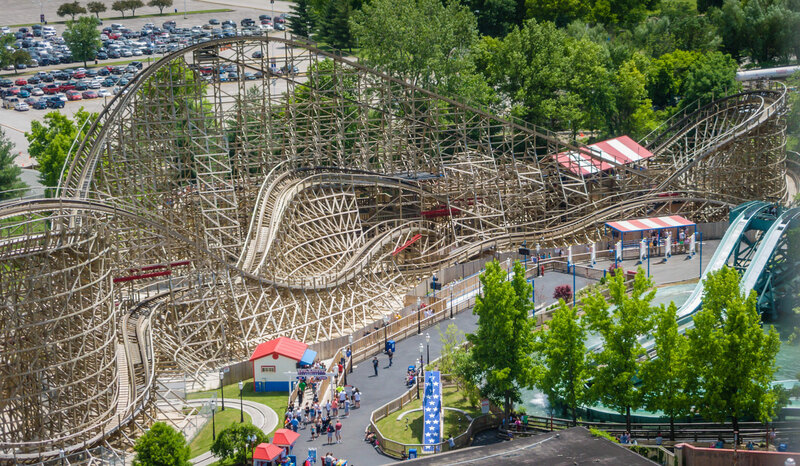 Prowler at Worlds of Fun in Missouri, USA. 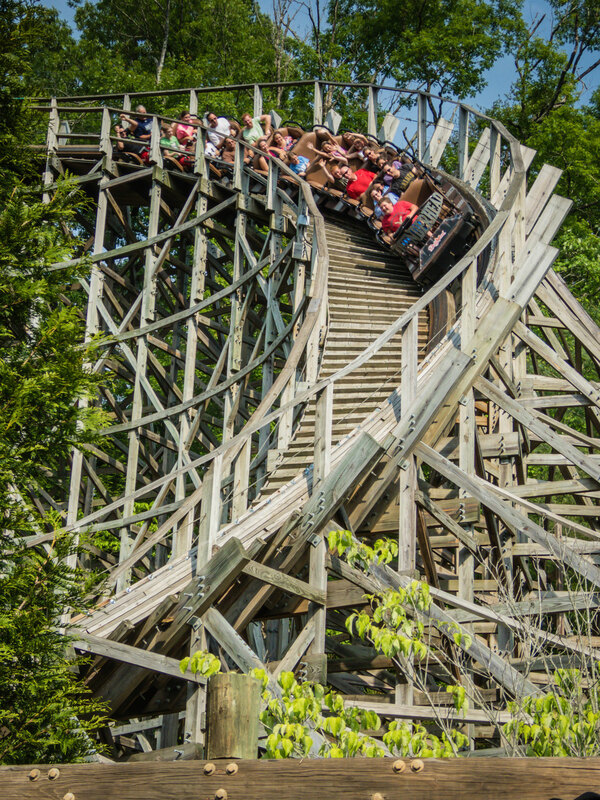 This wooden Terrain Coaster features lots of twists and turns with an abundance of small ejector airtime hills as it plunges through a ravine and in and out of the surrounding woods. 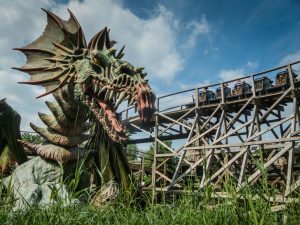 Joris en de Draak at Efteling in the Netherlands. Themed around the legend of Saint George and the Dragon, the racing/dueling wooden coaster features a 39 foot (12m) tall animatronic dragon, trumpets sounding upon dispatch and a medieval flute soundtrack for the lift hill climb. The layout also features three crossover (where the trains pass over/under one another) and two fly-by (where the trains pass one another in opposite direction) points. 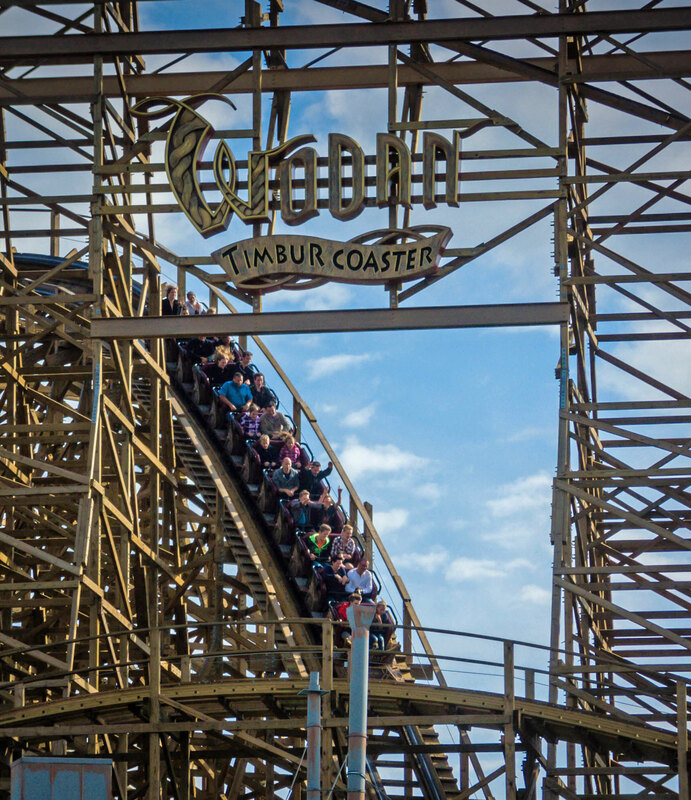 Wodan Timbur Coaster at Europa Park in Germany. 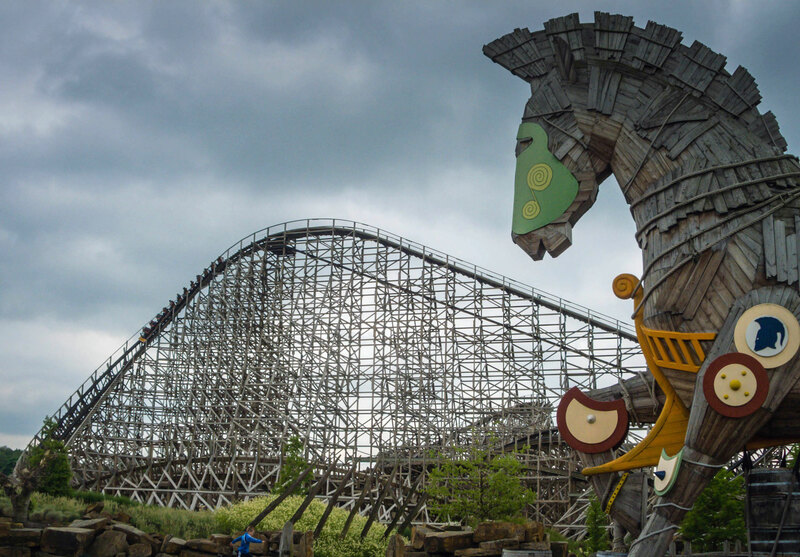 GCI’s largest coaster is themed to Norse mythology and has the best queues of any wooden coaster featuring projection mapping, smoke screens and moving ceilings as well as fire, mist and water effects. Huge statues lining the loading area even turn and watch the train as it exits the station. 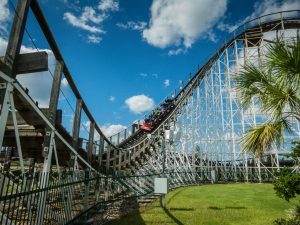 White Lighting at Fun Sun Spot America in Florida, USA. 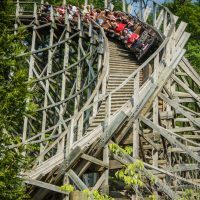 This wooden Out And Back Coaster shows off the company’s ability to build an exciting airtime coaster with a small footprint. 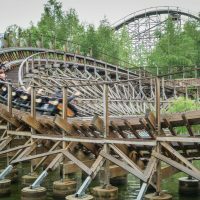 The coaster proved to be so popular that a clone of it was built in 2016 at Plopsaland De Panne in Belgium. 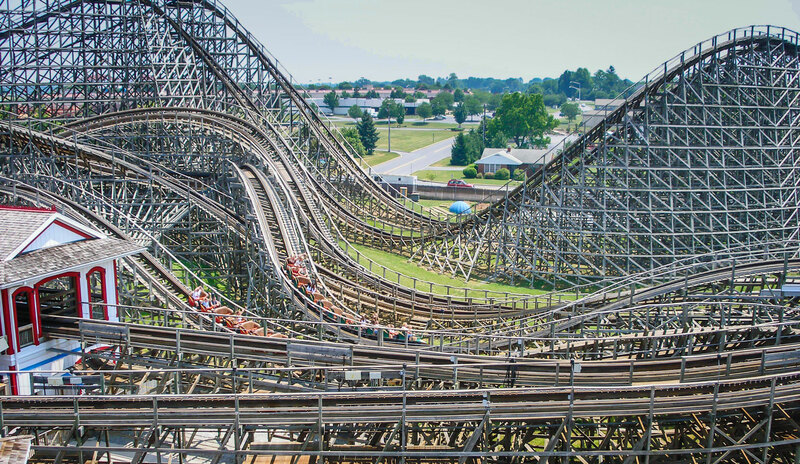 Gwazi was a racing/dueling wooden coaster with a record breaking six fly-by points (where the trains pass by one another in the opposite direction). The name Gwazi originates from a fabled creature with the head of a tiger and the body of a lion. Accordingly, the two sides were named “Lion” and “Tiger”. 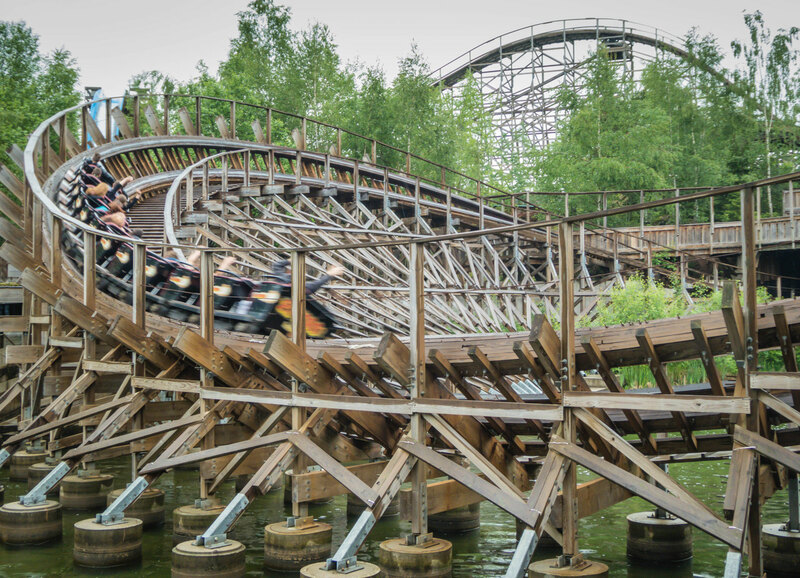 In 2012 the Tiger side closed, followed by the entire ride closing three years later. 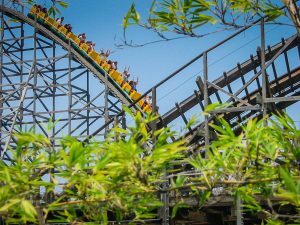 Unlike most wooden roller coaster manufacturers, Great Coasters International produce their own trains called “Millennium Flyer” trains. Millennium Flyer trains are recognisable by their open, gate-like fronts and cushioned bucket-style seats. Each rider has their own lap bar for safety and comfort.